Entrusting of the organization of European football championship in 2012 to Poland and Ukraine caused a great excitement in both countries but also a huge amount of problems which have to be solved positively so that the event could take place in five years successfully – writes Tygodnik Kibica. As the present column take cares mainly of the cases from abroad, the readers will find a doze of information about initiatives and enterprises of Ukraine in the process of preparations for Euro. Above all, it has to be noted that the initiator of the idea – the chairman of Ukraine’s Football Federation, Grigorij Surkis – is considered as a hero in his own country and he’s not only the hero of this year but of the whole period of five years. “The Capitaliste” – a magazine published in Ukrainian – emphasizes in the article titled “An Architect of a Five-Year Renaissance” that a few years ago it was hard to even dream about something like European Championship, an now it is an obvious fact. And it is not only about the sport aspect of the event, but also, or rather above all, it’s about huge changes in different fields of life that will take place in Ukraine during preparations for the championship. Surkis himself states that the final match of Euro 2012 will be organized on the highest level and this task is based not only on a usual excitement but also on specified investment projects and decree signed by the president Victor Juszczenko that involves execution of different tasks during the period of preparations for the continental final match. Basing on this, Surkis emphasizes that sport infrastructure of Ukraine is to be ready by 2010. According to him, there are no doubts as for this. He would rather be worried about perturbations within execution of non-sport tasks, like construction of airports, hotels and roads. However, those fields let us be optimistic as well. And it is confirmed by the fact that initially 5 milliards dollars were devoted to roads, then 10, 20 and now 25. We just don’t know, if the optimism of the chairman of Ukraine’s federation is not exaggerated, especially that in Kijow there is a great problem with a sport investment. The problem is that a huge mall is being built right next to the Olympic Stadium that is to be renovated. Its location is a danger for the stadium that is why reconstruction works have not been started so far. The Ministry of Sport ensures that the problem will be solved, although it will cost a lot. Negotiations with the consortium that is building the mall are in course, and financial compensation is offered for holding up the construction works and changing of location of the object. Also Victor Janukovicz – the Prime Minister of Ukraine’s government – was engaged in this case and obliged heads of the interdepartmental services to take up any actions for the purpose of solving the problem of the Olympic Stadium reconstruction. And if any exceptional difficulties occurred, he doesn’t excludes building of a new stadium in Kijow that would stay in agreement with all the international norms and that would be capable of organizing the final match of the Euro championship. After this order was made, exactly on July 15 on the meeting in the building of Ukrainian federation, a new concept of the program of sponsoring for 2008-2012 was accepted. Although we don’t know details, but we may suppose that it would guarantee resources for execution of tasks connected with Euro. 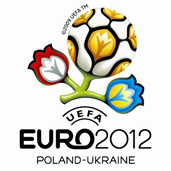 The thing is quite important because preparations for the future event will require a lot of money, also in Donieck, Dnietropietrovsk and Lwow, and now also Charkow and Odessa have to be added to it – as it is known that both Poland and Ukraine proposed that the matches of Euro should take place in six cities of each country. At the end of April a special group was appointed in Lwow and it takes care of preparations for Euro in this city. A president of the city council of Lwow, Pietro Olijnij, announced during one of the conferences that about 100 millions EUR have to be spent on the building of stadium and airport in the city and about 300-400 millions for renovation of roads. And generally, it seems that Ukraine occurs to be more initiative in the mutual enterprise of both countries. Lately, a Coordination Council for Organization of Euro 2012 was appointed and the first meeting, in which the President Lech Kaczyński took part, was dominated by the President of Ukraine, Wiktor Juszczenko. It was him who foretold that a project of international contract concerning cooperation of both countries within a few important fields like safety, problems of visas, execution of infrastructural enterprises etc. will be prepared. He also mentioned, that the Council will gather once a three months in order to control the course of works. Well, it generally seems that in Ukraine Euro 2012 is a main issue.